This is our latest creation - a deluxe 5-Speed Flying Pigeon bicycle. Price? $749 as you see it here. 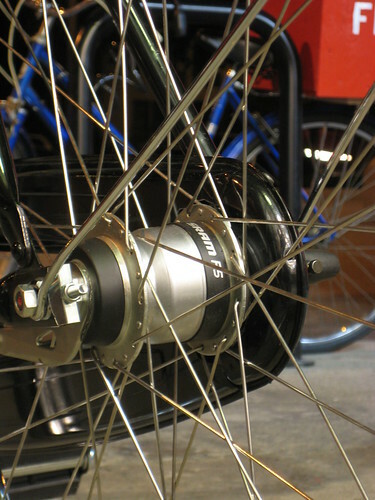 SRAM Spectro P5 hub with a coaster brake on our Deluxe Flying Pigeon 5-speed. This is in addition to the massive amounts of dremel work, and the re-tapping and re-facing of the various parts of the bike with ball bearing assemblies. The headset and bottom bracket have been replaced with good quality VP (from Taiwan, VP make Cane Creek and other name-brand headsets and bottom bracket) parts. The cranks we’ve installed are 28 tooth shorties – allowing a very, very, easy time pedaling this sprite lil’ bike around. The 5-Speed Flying Pigeon PB-13 (as you see here) will retail for $749. Here is how we look at it: for the price of a ONE SPEED Dutch bike, you can get a FIVE SPEED Flying Pigeon. Now, the frame is not going to be as solid as the Dutch bike, but clearly there is a value in what we’re doing with our line of Deluxe Flying Pigeons. 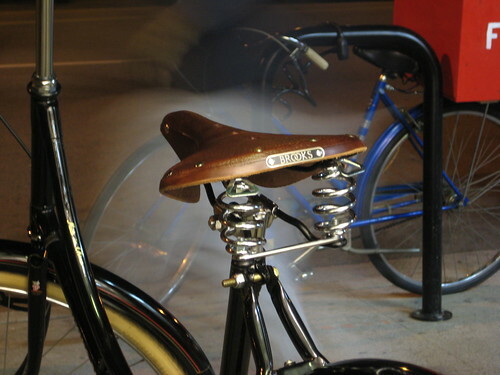 A Brooks B67 leather saddle installed on our Deluxe Flying Pigeon 5-speed - looks nice, rides great. With lights, a lock, and a nice basket, the price will climb a bit (but so will the utility of the bike). You can see why there is debate involved in specifying the parts on a new bike! We don’t want to keep the price high, but we do want the bike to be ready to make it’s future owner happy; we feel that baskets, and other “accessories”, can make or break a bike’s utility. Would you like your own Deluxe Flying Pigeon? We can custom fit all sorts of gear to these bikes. You’ll get a hand-built, one-of-a-kind, city bike for less than a production bike from many other manufacturers. 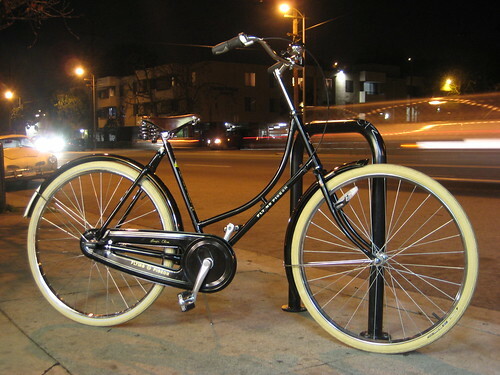 Prices start at $499 (single speed) and go up to $699 (five speed). Options like the Brooks saddle, and other neat stuff add some to the price of each bike, but we don’t charge retail prices for those additions.